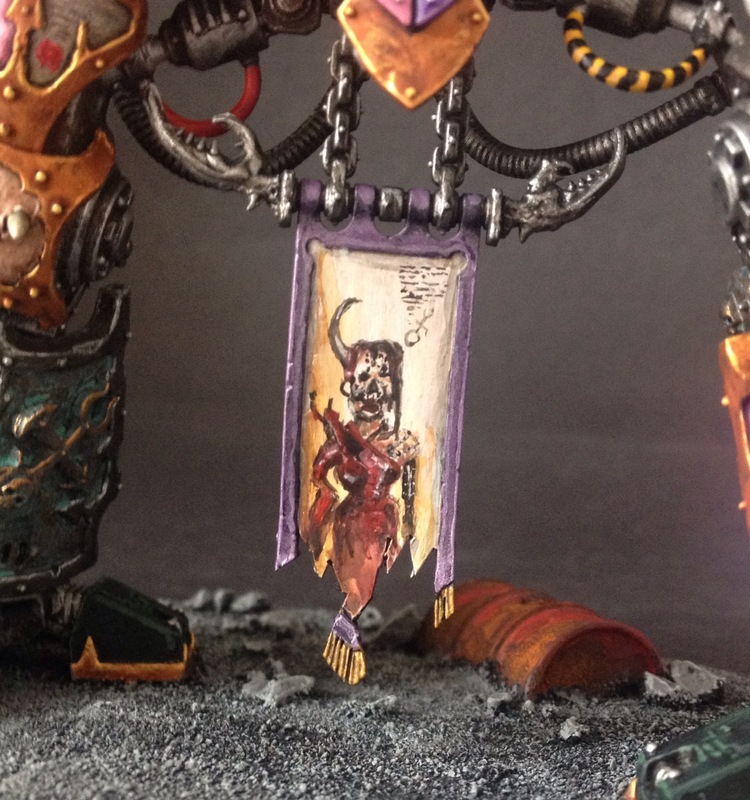 So, as vaguely promised last week, here is another WIP (or with this being Slaanesh, should that be ‘WHIP’?) 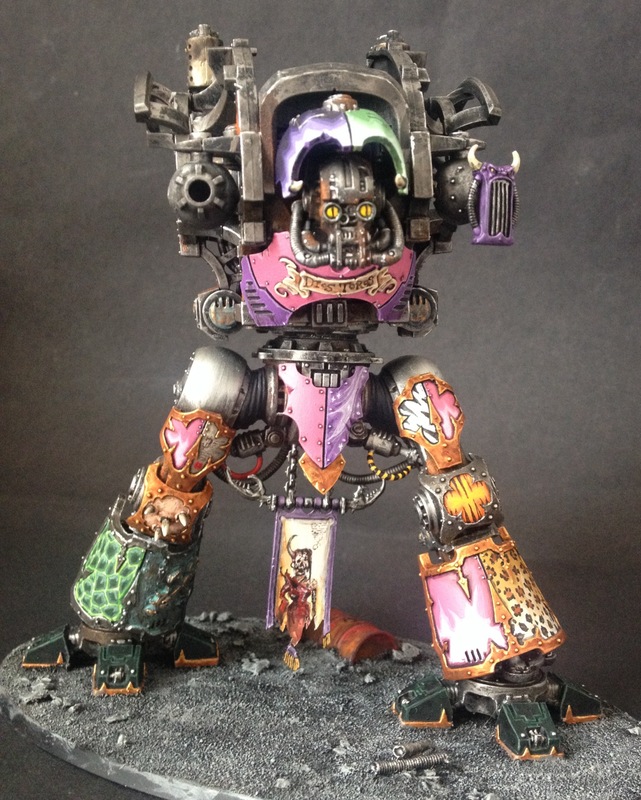 of the monstrous, eye-hurting behemoth that is Dios Toros, the much-corrupted Imperial Knight. And this week, I think I almost ‘jumped the shark’ with just the smallest illustration. There is a point on a pair of axis for any painter which is where ambition meets ability. It’s important to push this point as that’s how you improve, but it can make for brown trousers time when you’re working on a project like this and you think you’ve gone past it. I’ve put a lot of expectation on myself and with the incredible reception that the Knight’s legs got last week (this blog had its biggest day ever) I can feel the eyes of my peers fixed on my efforts too (well, to some extent at least). I’m pretty comfortable with freehand painting patterns or basic designs. It’s a nice little skill to have and I’m quietly proud of my ability. 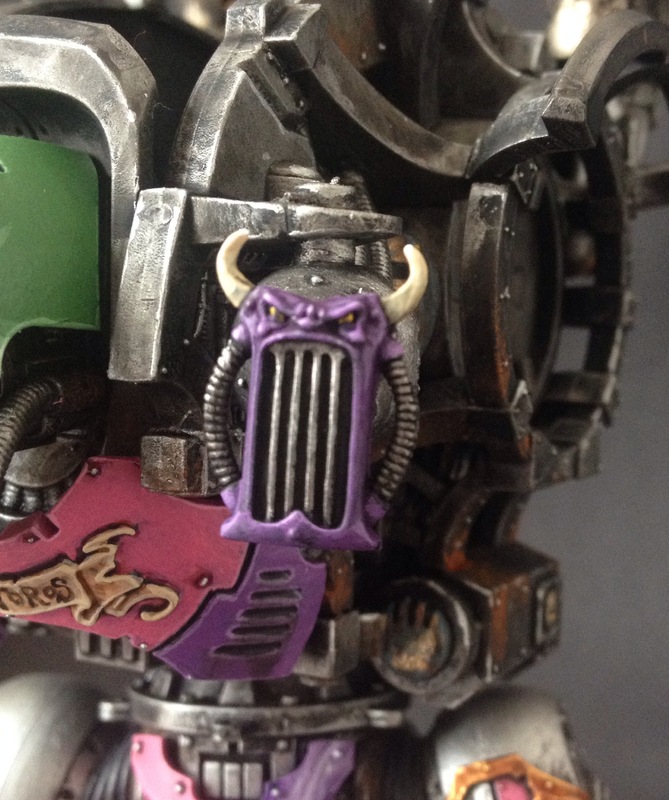 My skills with freehand painting too have improved greatly since the Mortifactors project began but seeing as that only really deals with skulls, my repertoire is a tad limited. But mimicking another artist is a real test and I have decided to test myself this week. That little point on those axis is getting pushed hard and I am in danger of snarling up the whole project. In my head, it sounded relatively easy – painting a John Blanche Illustration or two on this model. Pfft! Do it with my eyes closed! …I have no idea why it sounded easy. No idea. Even as I write this, I have no idea what came over me to even dare to attempt it. And there were a couple of times while i was doing this that I almost scrapped the whole thing. I even consulted fellow hobbyist, oldest friend and 4gotowar proprietor Henry South about it and followed his advice (to some extent). I persevered and I’m relatively happy with the result. It fits with the project and my style and I think it suitably pays homage to Mr Blanche. There might be another illustration on the way soon – what a glutton for punishment I am. 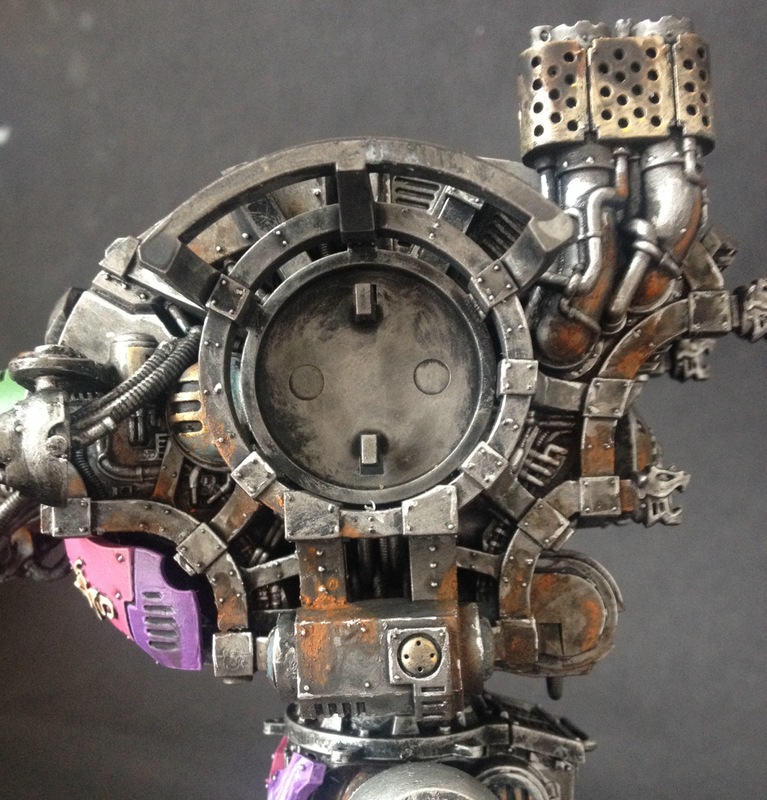 The big job of the last couple of days has been the internal workings of the knight and the inner torso is now done. 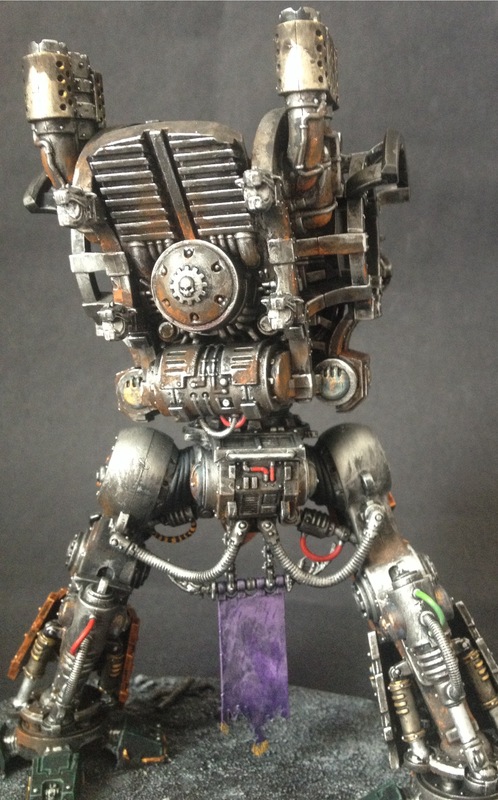 Lots of weathering using the Citadel Technical paints but all hopefully done with some restraint. They’re such fun to use, it’s really hard to stop myself from going OTT with them, but I think I’ve managed it. 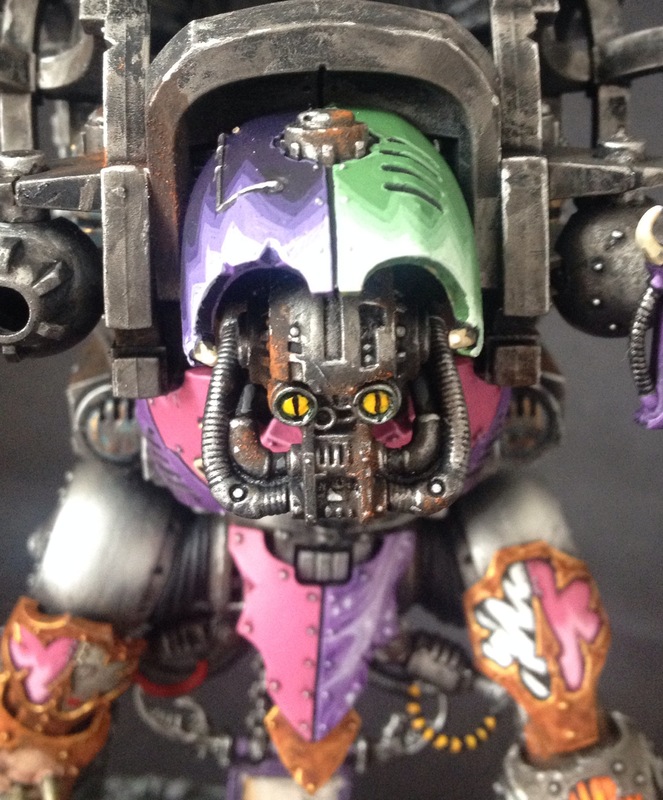 As I said in the last post, I want to have internal corruption behind the gaudy plates of armour, symbolising the rotten core within the Emperor’s Children. I’ve also done the head, but not much of this is going to be visible as a suitable faceplate is being put together as we speak. It should be as gaudy and terrifying as you’d hope. Nevertheless, this relatively simple job deserved showing before it gets covered forever. I’ve replaced one of the stubbers with a dirge caster which will act as a Doom Siren for the purposes of this Knight. I’m really looking forward to coming up with some home-brew rules for Dios Toros too so that fits in well with him being a little different. 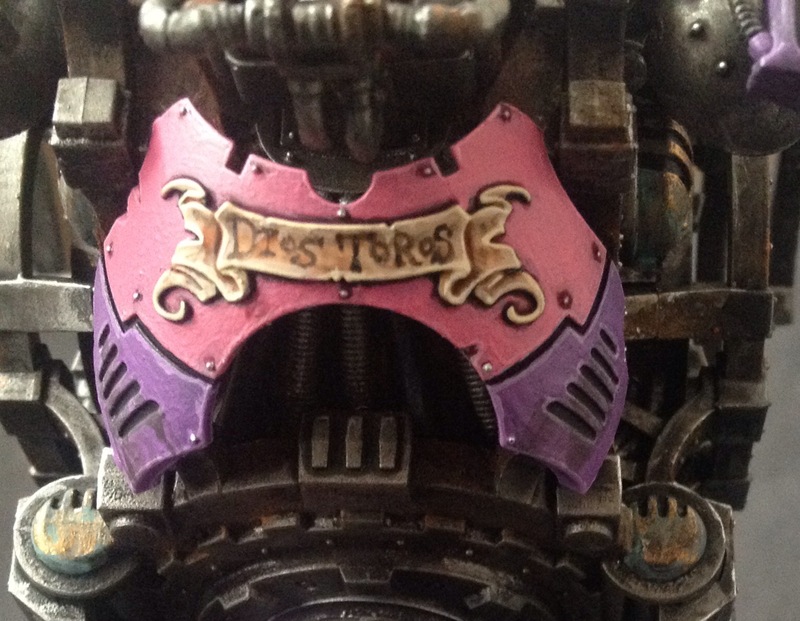 And it wouldn’t be Slaanesh without a little bit of sound after all. In many adventures I can always field him as a Knight Paladin, but i’d like to give him his own flavour too for friendlier, fluffier games. There are a couple of more colourful plates already done and I’m quite happy with the scrollwork on the chest too. All in all then, it’s progressing at a nice speed but there are still two weapons/arms to do, as well as the large top-plate and shoulder plates so it’ll be a while before he’s ready to roll out onto the battlefield yet. And yes, those arms are going to be converted too. I really don’t make things easy for myself. That being said… Onwards! 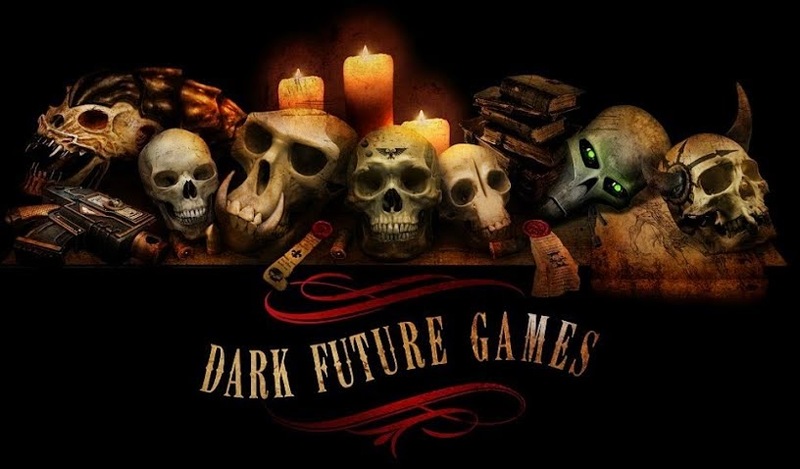 ← Distractions and 40k are a Real Pa… ooh, new box set! Ack! So garish! Yet, so awesome. I am all for stuff like this!